The 75th Birthday of the Hillsville Lions Club birthday cake candle blower-outers team do their thing. GOOD JOB!!! The Hillsville Club was founded in 1940. Hillsville Lion Ron Walters (on right) sorts glasses collected from Hillsville at the Roanoke recycling center. Glasses are sorted, prescriptions read, recorded and packed into shipping containers for distribution around the world. The Hillsville Lions Club holds two yard sales per year, one in the spring and one in the fall. Items are collected by Lions and participation is sought from local businesses. The famous Lions Brooms are also sold. Lion Kitty Smith, Past Club President and Past District Governor, is presented the Lions International President Certificate of Appreciation award at the 75th Anniversary dinner. Presenting the award is Past International Director Wayne Davis (left) with Club President Jim Parker looking on. Other recipients of the award were Club Past Presidents Bill Webb and Jerry Varn. The annual LION OF THE YEAR award for 2016-2017 was presented to Lion Bill Webb by President Lion Rick Beasley at the annual Lions picnic August 22, 2017. Lion Bill is a past President of the club and now serves as Treasurer. Thinking of joining a community service organization? The Lions Club would love to have you. Just come to one of our meetings, always held on the 2nd and 4th Tuesday each month at Shoneys restaurant in Hillsville. The buffet dinner begins at 6:00 pm and the meeting begins at 6:30 pm. Meetings usually last about one hour after dinner. Come, check us out, express your interest, or contact any Lions Club member. Our Club e-mail address is: HillsvilleLions@gmail.com or call Club President Lion Jim Parker at 276-733-5974. 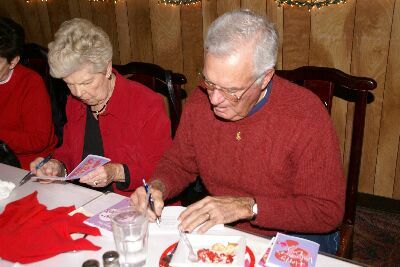 "Building Lionism, One Brick at a Time"
The Hillsville Lions Club was chartered on August 31, 1940 and has been a consistent presence in the Hillsville and Carroll County community for over 75 years. It is located in Lions District 24-F, Region 3, Zone 1. District 24 encompasses all of the State of Virginia and sub-section F includes the Cities and Counties of Bland, Buchananm, Carroll, Dickenson, Grayson, Lee, Russell, Scott, Smyth, Tazewell, Washington, Wise, and Wythe. Community Service: The Club's major community service includes furnishing eye glasses for clients who meet certain criteria as well as hearing examinations and hearing aids. The Club also supports the Lions Leaderdog for the visually impaired program and can supply information to the visually impaired. We also work with youth activities including the Boy Scouts and our own Middle School level group of young Lions, known as Leos. Our Club also sponsors Diabetes Awareness programs. 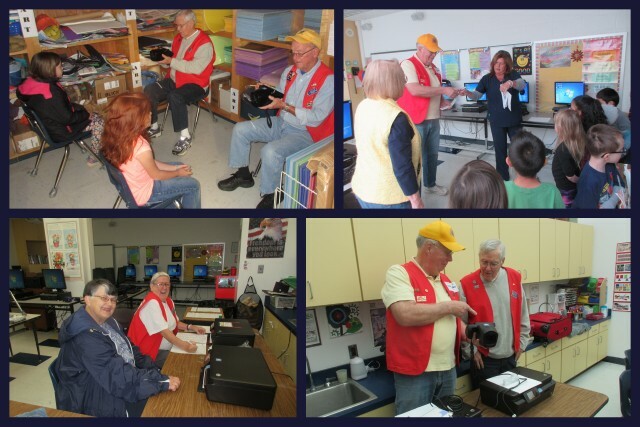 District Level Services: In Virginia we provide support to the Old Dominion Eye Bank and the Lions of Virginia Hearing Foundation and Research Center. We collect used eye glasses and hearing aids for repair and redistribution to the needy. International Level Services: We sup[port Lions Clubs International Folundation (LCIF), Leader Dogs for the Blind School, and Youth Exchange. Our Club finances are controled through the use of two separate accounts. The Administrative account holds monies collected directly from members and is used to pay dues, costs of meals, club supplies, etc. The Activities account is income earned through fund-raising events and donations involving the general public and is ONLY used for service programs in our community or district. NO monies from fund raisers are used for administrative costs. 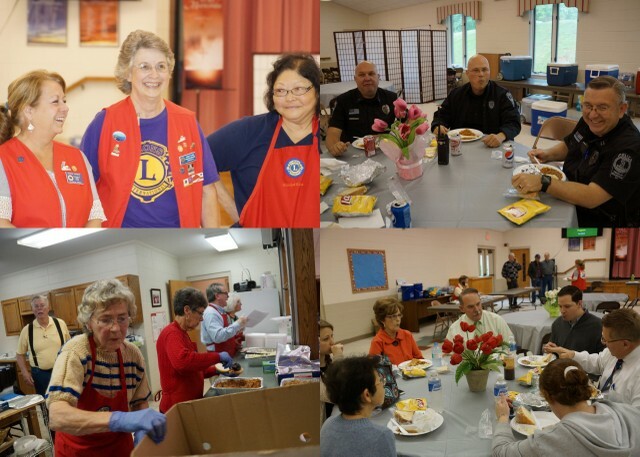 International: The Hillsville Lions club is part of the largest service organization in the world with over 1.4 million members in over 44,600 clubs in Districts in more than 190 countries and geographical areas. Multiple Districts: Multiple Districts (MD) are large areas consisting of a whole state, Provinces or States in the United States, Canada or Mexico. The Multiple District 24 consists of the entire State / Commonwealth of Virginia. The Multiple District is administered by a Council of Governors whose membership consists of the District Governor for each sub-District making up the Multiple District. Our Club is in District 24-F - 24 being the designation for the MD of Virginia and the letter "F" denoting that our District is the 6th of the Virginia Districts. District 24-F is currently led by District Governor Precilla Hall who is a member of the Rural Hall Lions Club.